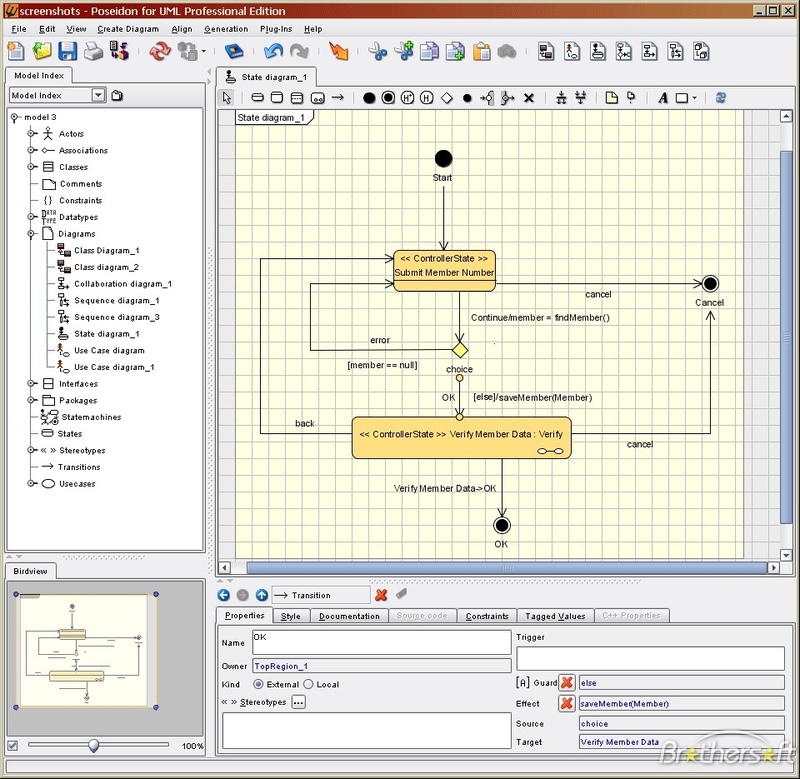 An intuitive interface makes Poseidon the quickest UML tool to master, freeing you to focus solely on your model. A wealth of available features enhances productivity from the start without getting in the way. Poseidon for UML, with its outstanding price-performance ratio, is the clear choice for software engineering. ...... solely on your model. A wealth of available features enhances productivity from the start without getting in the way. Poseidon for UML, with its outstanding price-performance ratio, is the clear choice for software engineering. Colla-Doc is a Collaboration Software provides virtual workspace for teamwork. Qweas is providing links to Poseidon for UML Standard Edition 3.2.1 as a courtesy, and makes no representations regarding Poseidon for UML Standard Edition or any other applications or any information related thereto. Any questions, complaints or claims regarding this application Poseidon for UML Standard Edition 3.2.1 must be directed to the appropriate software vendor. You may click the publisher link of Poseidon for UML Standard Edition on the top of this page to get more details about the vendor.